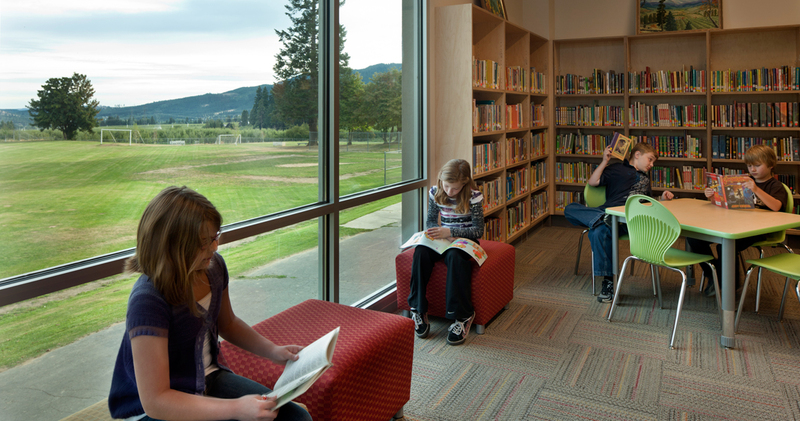 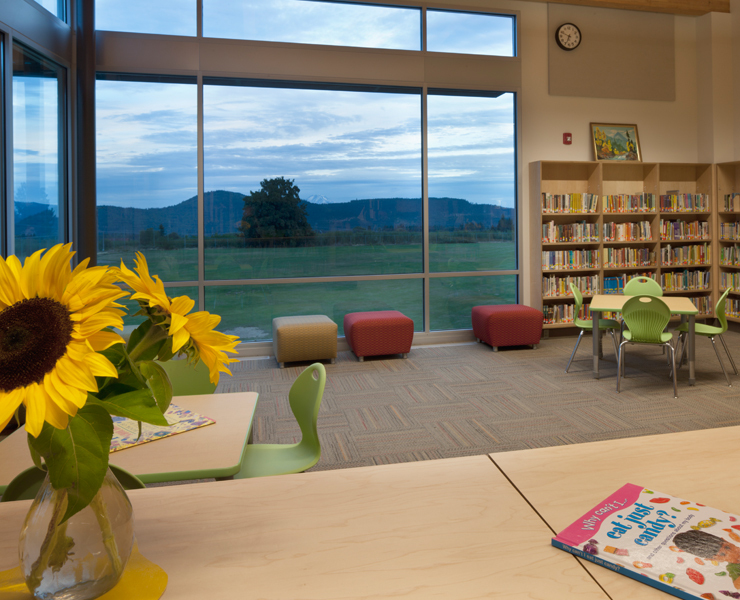 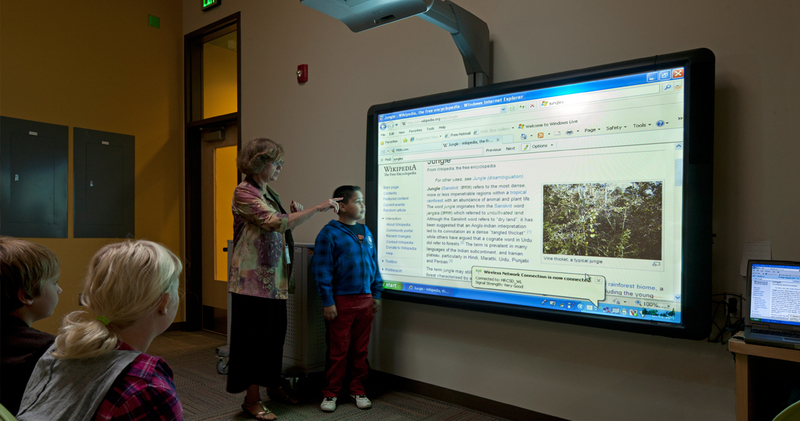 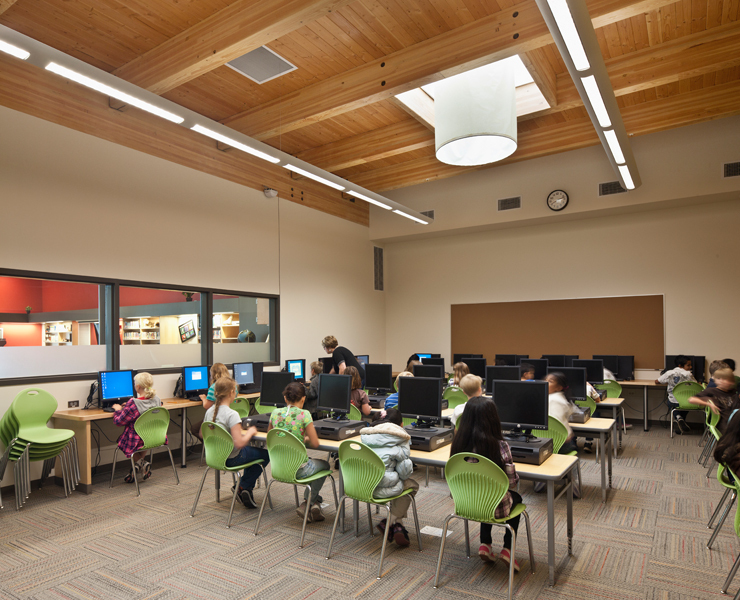 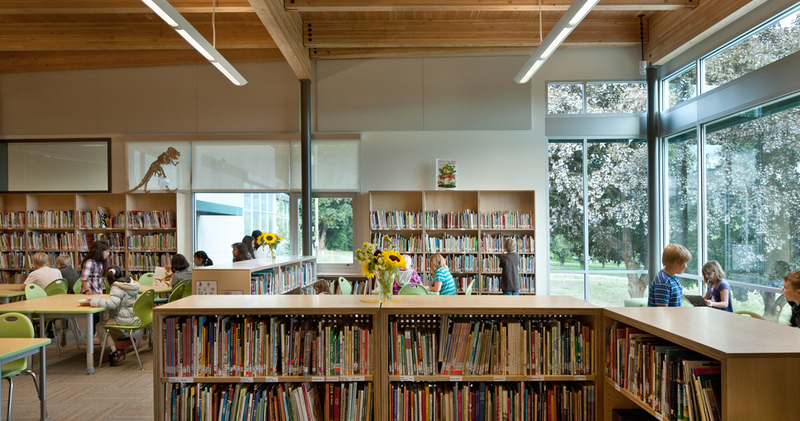 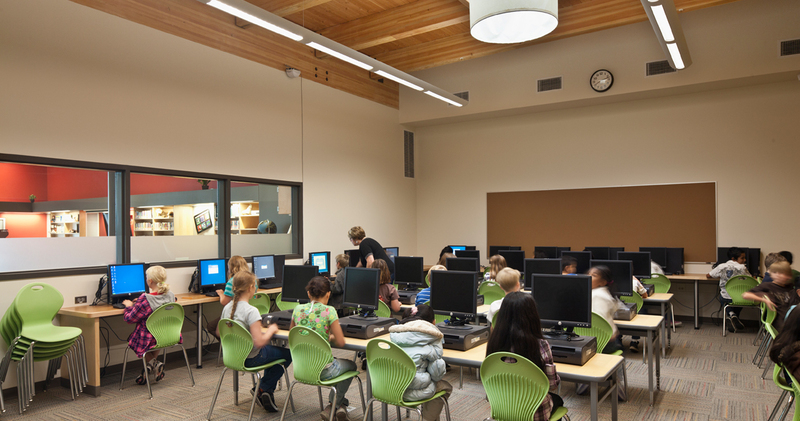 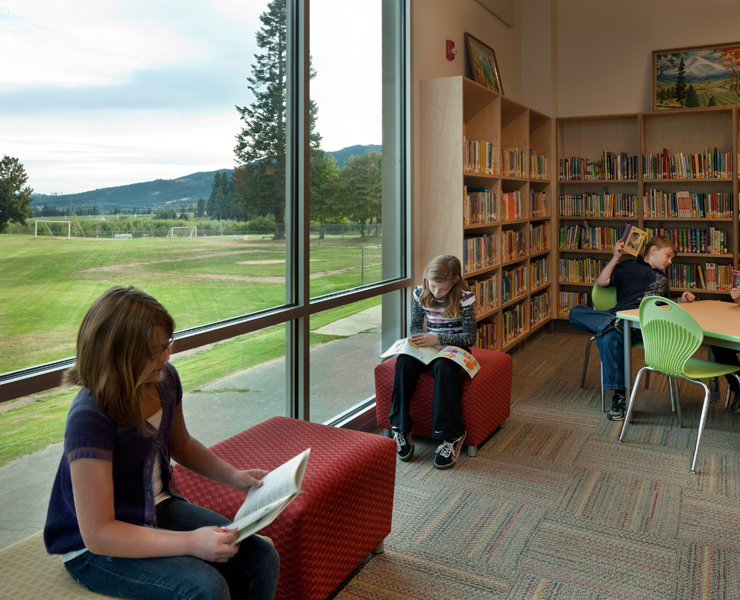 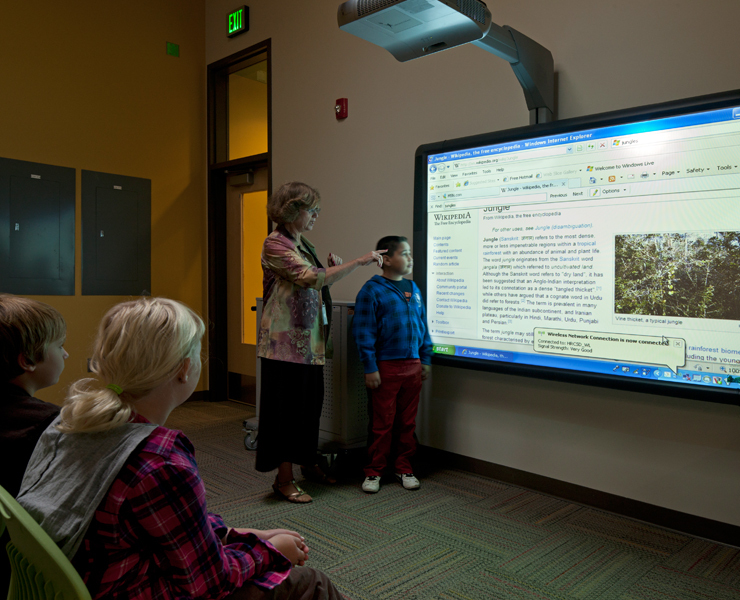 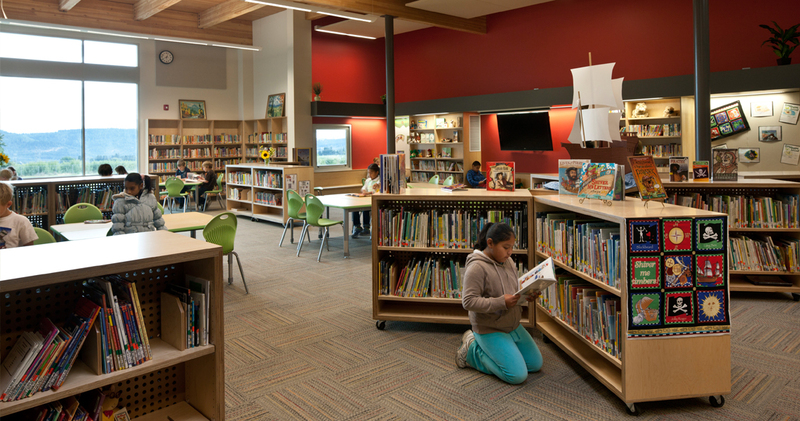 At Parkdale Elementary, Opsis added 3,800 sf of new library and computer lab spaces to an existing building originally built in the 1940s. 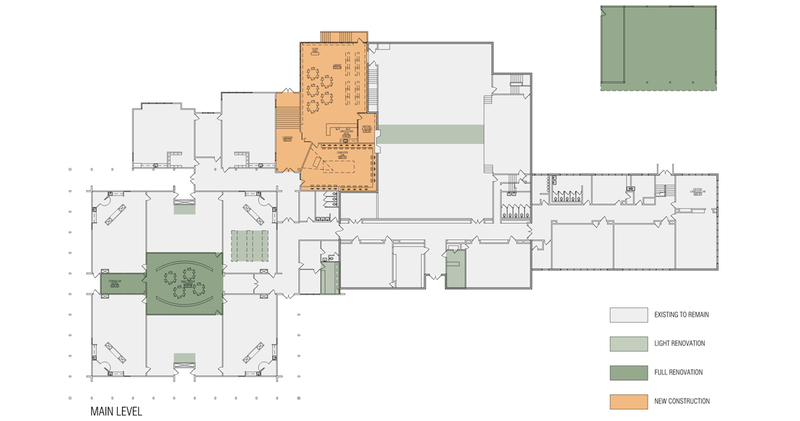 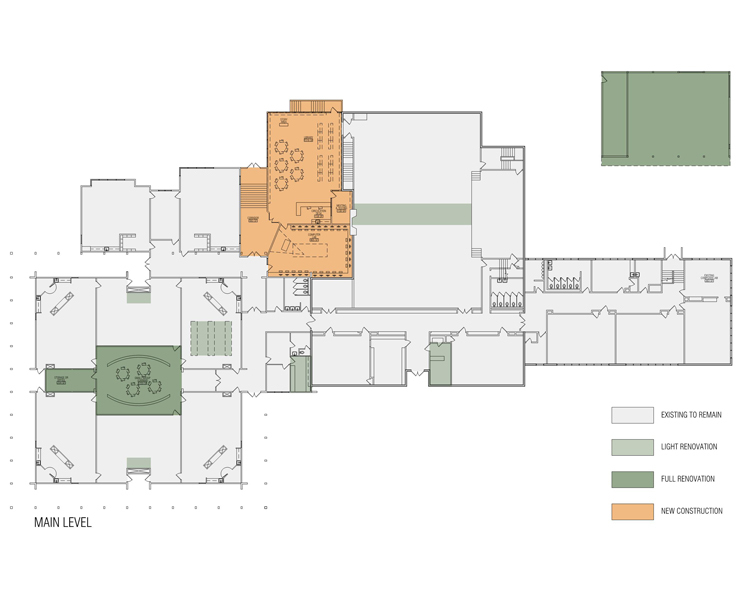 The new facilities are tucked into a U-shaped courtyard allowing the computer lab to have excellent natural daylighting while avoiding glare. 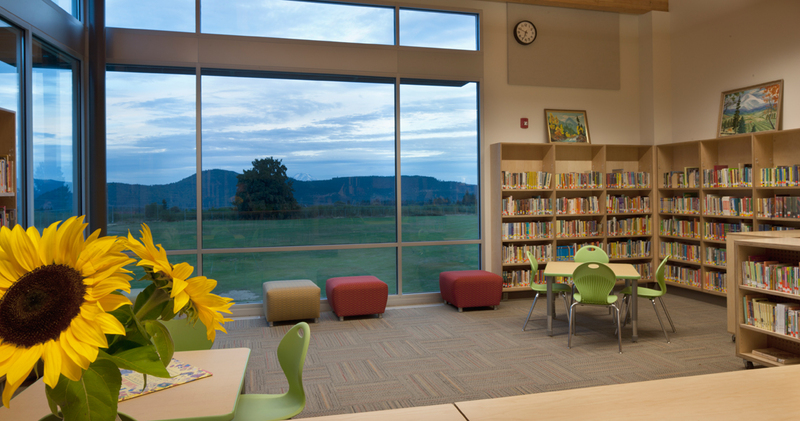 The library combines a warm wood-finished space with magnificent views of Mt. 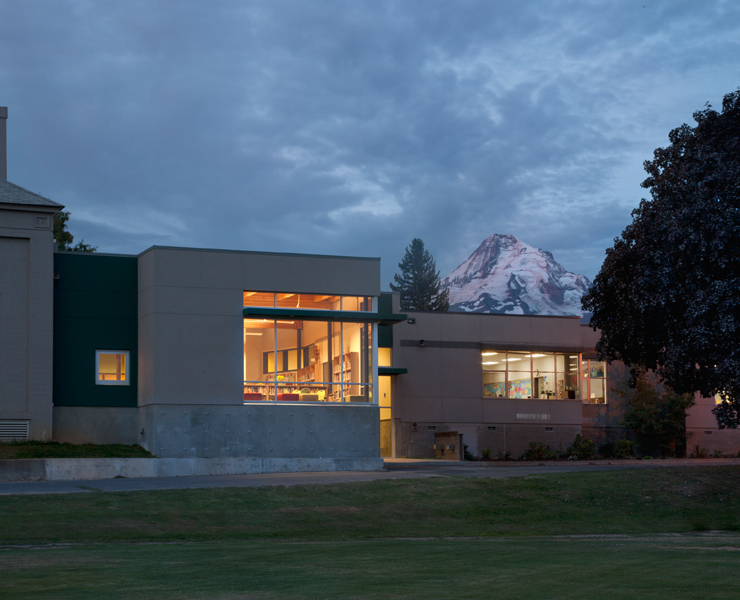 Adams across the Columbia River Gorge. 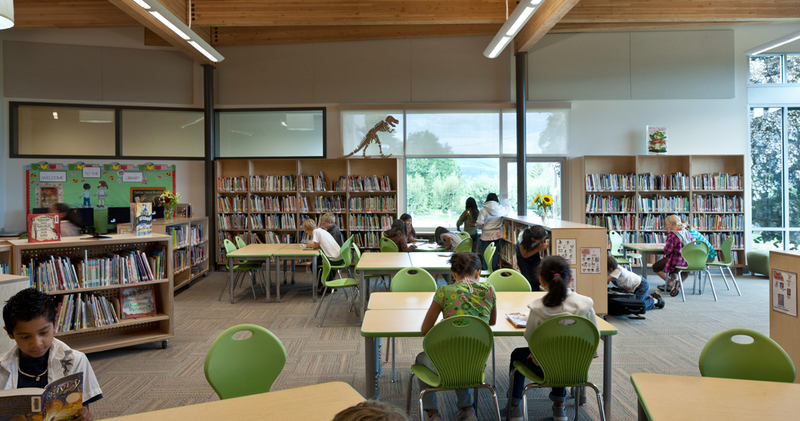 The addition brings together two active, growing and community-oriented spaces, which were originally located at opposite ends of the building. 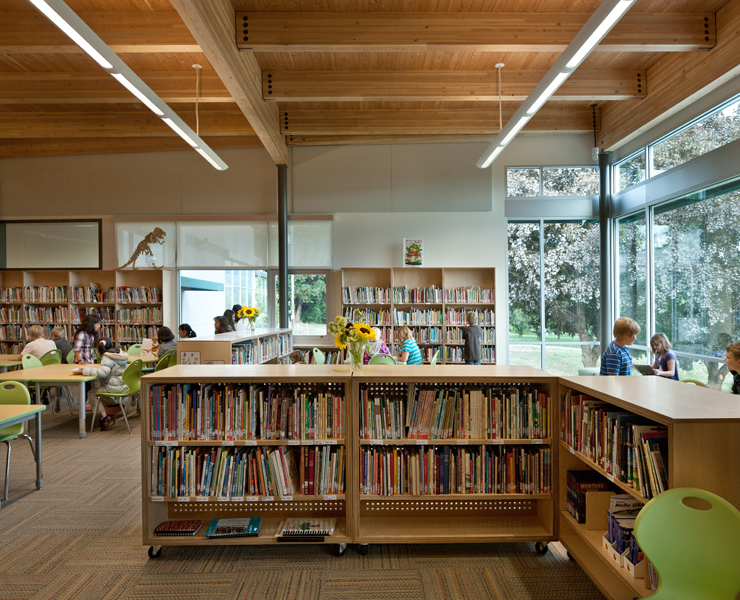 With a goal of creating a community space and maintaining a sense of openness, the interiors focus on transparency and flexibility. 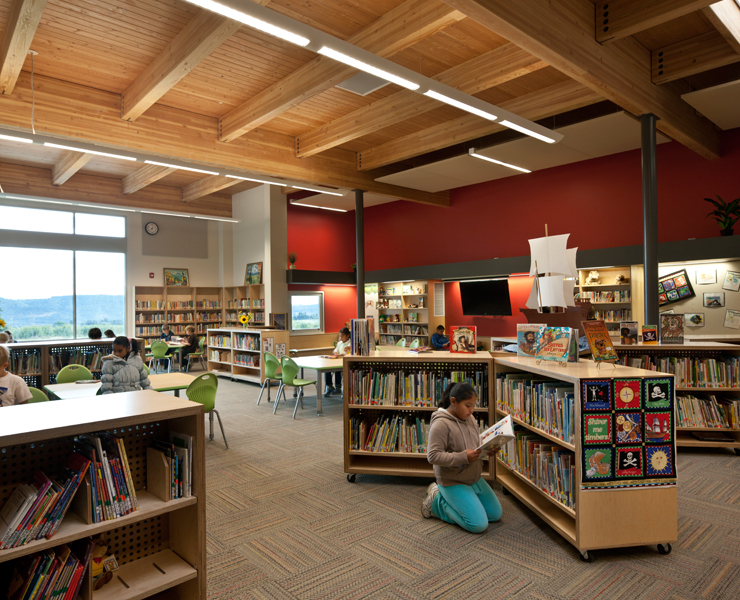 The utilization of warm wood finishes create a calming atmosphere that are balanced by colorful walls in each space. 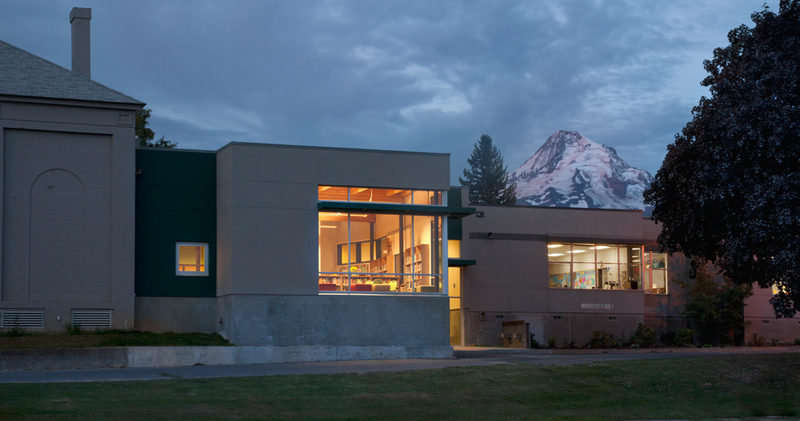 The outstanding views of Mount Adams and the Gorge result in a scenic backdrop for students and staff. 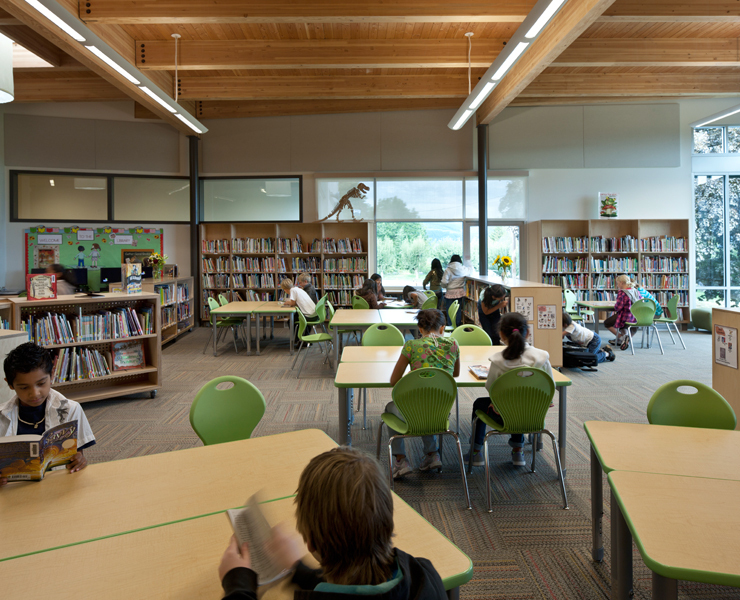 Furniture throughout the space is sized for both children and adults, reinforcing its accessibility to various user groups.